There are many ways to get started in Archery. To find about more about these, follow the links below. 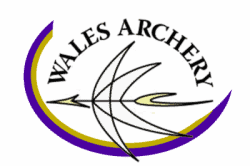 We are proud to have Wales Archery as our Official Youth Competition Partner. Want to raise your game? Sign up for our workshops! If you're interested in starting archery, you're in the right place! We have gathered all the information on acquiring, maintaining and running an archery facility together in the 'Facilities & Development' section. The Archery GB Instructor Award is an entry-level training course that prepares learners to deliver fun and safe introductory sessions for beginners. All documents, guides and forms are located in the Useful Resources for Judges document library. Workshops and qualifications for archers, coaches and instructors. Archery GB offers a variety of courses to support your development. Archery GB aims to support all its members, in whichever way we can. Archers are at the heart of everything we do, and the Membership Services department is here to handle all your queries and questions.